It’s time for another confession from your favorite critic: I have Asperger’s Syndrome. I may have mentioned this before, but I bring this up again because my review for the latest Tim Burton starts with my personal history watching his films (as most reviews of his movies do), and I want to throw in my voice with the misfits, outcasts, and weirdo’s that, yes, I too found a special connection with his works. While I love other directors and their works, Tim Burton movies just always…clicked with me. They felt like they were on the same mental wave line as mine. Years later I would find out that Burton himself is (what we affectionately call ourselves) an ‘Aspy,’ and all made sense. At that point I knew that Burton’s disability is what fueled much of how he viewed the world and how he channeled that view into fine works of art. I bring this up because the fact that he has Asperger’s is probably his biggest strength and weakness at the same time. 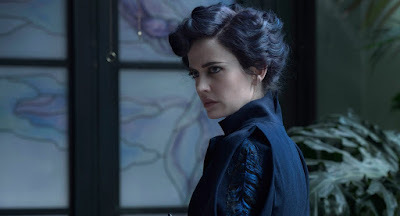 In “Miss Peregrin’s Home for Peculiar Children” we see those strengths and weaknesses being played out in the open. 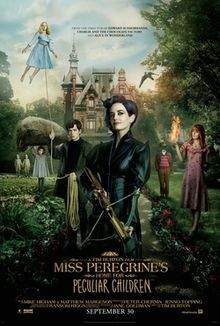 It is based off a popular book series about children with abilities that make them different from normal people (and despite the title, it should be noted the book was American). The story involves time travel, alternate dimensions, and a villain that wants to sour the good mood by trying to kill everyone for his own personal gain. 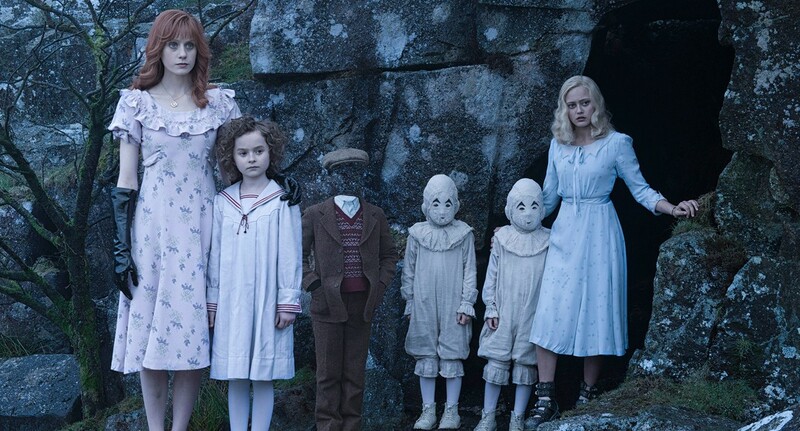 Like most of the movies I’ve reviewed in the past week, “Miss Peregrin’s Home for Peculiar Children” isn’t a terribly complicated story. I mean, considering where it takes place I suppose it has more going on in it than most, but it’s one of those screenplays where heavy scrutiny reveals a story that makes less sense than you’d hope it to. If you ignore exactly how things work or why they are you can have a lot more fun with it. You have children like Fiona Frauenfeld (Georgia Pemberton), who can control and maintain plants and produce. You have a boy who has bee’s living inside him, who enter and leave his mouth at will. There is an invisible boy, though he seems the least peculiar in this day and age. 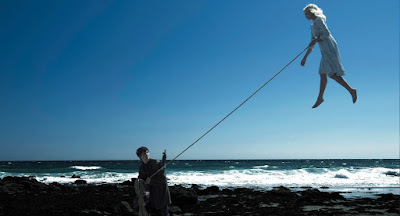 For some reason the Peculiar (and that is what the film calls them) that I found to be most interesting was Emma Bloom (Ella Purnell), a girl who has so much air in her body she will float away without special boots and can create air bubbles underwater. 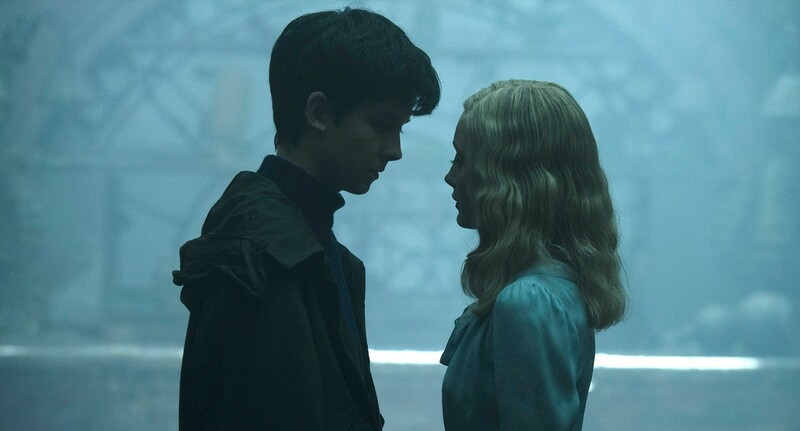 I can understand why our main hero Jake (Asa Butterfield) falls instantly in love with her. Upon first glance all these kids look like freaks, yet they reveal themselves to be, deep down, as normal as the kids they are constantly compared to. All of them are taken care of by Miss Peregrin (Eva Green), who is a suitable mother figure that is smart and thinking three steps ahead. In many ways this is typical Burton material. The misfits, the outcasts, the unjustified fear from the general public…it’s all par the course for this man. I admit to having more fun with “Miss Peregrin’s Home for Peculiar Children” than I have the past few Burton films. When I think about why it dawns on me that Burton was – for the first time in a long time – stepping outside his comfort zone. There is no appearance by Johnny Depp or Helena Bonham Carter. He is adapting a book that didn’t seem like an obvious choice for him to adapt. Danny Elfman was busy with “Alice Through the Looking Glass,” so Burton had to work without his usual sound. He was filming the movie with 3D in mind and had to compose his shots with the knowledge that (unlike the up conversion jobs for previous films) the look was going to all be on him this time around. This isn’t just another Tim Burton movie. 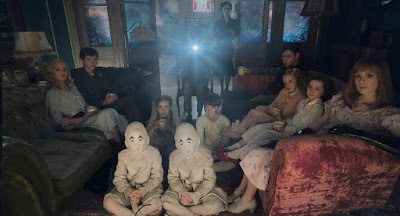 This is a unique family film that has likable characters, an imaginative setting, and enough creepy moments without the scary factor turning it into an actual horror movie. On some level he is still making just another Tim Burton movie, but it has enough unique elements that this feels like the start of a new type of movie from the auteur. It is a baby step, yes, but people with Asperger’s have to take baby steps before they make giant leaps. It is interesting to see a man I admire so much taking at least a few risks again. 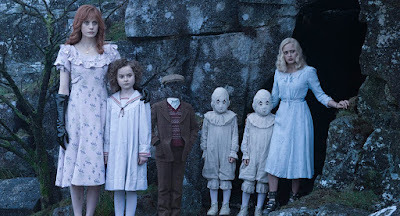 Not that many people going to the theaters are going to have this knowledge or even nessicarily care, so for them “Miss Peregrin’s Home for Peculiar Children” is a fun visual movie with a few laughs, a few scares, and a lot of creative imagery. For most, that will suffice. Parents, there is some minor language and scary fantasy moments, but the violence is never gruesome and it isn't too scary. Recommended for ages 12 and up.